Work with Kusalama to increase awareness of the multiple benefits of sustainable agriculture at a national level, improving the environment, health and livelihood of the Malawian people. In Malawi more than 85% of the population consists of subsistence farmers, nearly 60% of which experience year round food insecurity. Although Malawi’s economy is dominated by the agricultural sector, the country faces high rates of malnutrition, with nearly 13% of children under-5 underweight and 47% stunted. Much of this is because farmers often depend heavily, if not solely, on a single crop: maize. Grown intensively, farmers are forced to buy expensive chemical inputs for production on already depleted soil. These factors, combined with associated environmental degradation, increase the population’s vulnerability to climatic changes, reduce its livelihood and food security, and increase its susceptibility to malnutrition. By maximizing land productivity, reducing the perceived need for expensive inputs, and increasing crop diversity, sustainable agricultural approaches, such as agroecology and permaculture, address the most critical aspects of improving nutrition and food security. Through adoption of agroecological practices, farmers can reduce their overhead costs while increasing the productivity of their land and diversity of their crops, thereby increasing household food security and diet diversity. 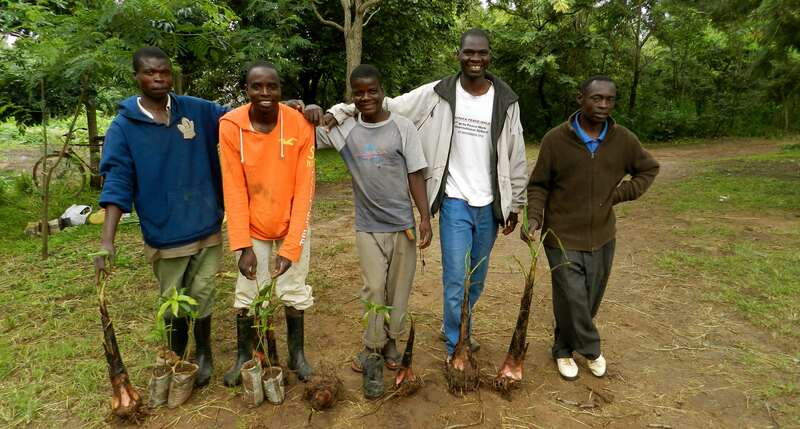 Additionally, by mimicking natural systems, permaculture and agroecology actually improve environmental health, combating some of Malawi’s most pressing environmental concerns (deforestation, erosion, drought). Sitting on 20 hectares on the outskirts of Lilongwe, Kusamala’s demonstration centre is the largest permaculture and agroecology farm in Malawi, training hundreds of farmers a year. Initially run as a sustainable business, Kusamala gained Malawian non-profit status in 2011 and began focusing on training, education, and community outreach. In order to combat this over-dependence on maize and shift to a more sustainable, healthy agricultural system, Kusamala needs to reach beyond its current focus on household interventions and to effectively communicate the benefits and impacts of permaculture at a national level. In line with this goal, Kusamala would like to build a communications strategy that will raise awareness of the benefits of permaculture among government and donor decision makers. The ultimate goal of this campaign would be to position sustainable agriculture as a viable alternative to the current maize and chemical-based system. This sort of policy shift would promote a more diversified cropping system that reduces the perceived need for external, chemical inputs. Policy based on these principles would improve household nutrition through access to more diverse foods, increase income through reduced costs, building a wider market; and improve environmental health through improved soil and water management as well as agroforestry reforestation efforts.